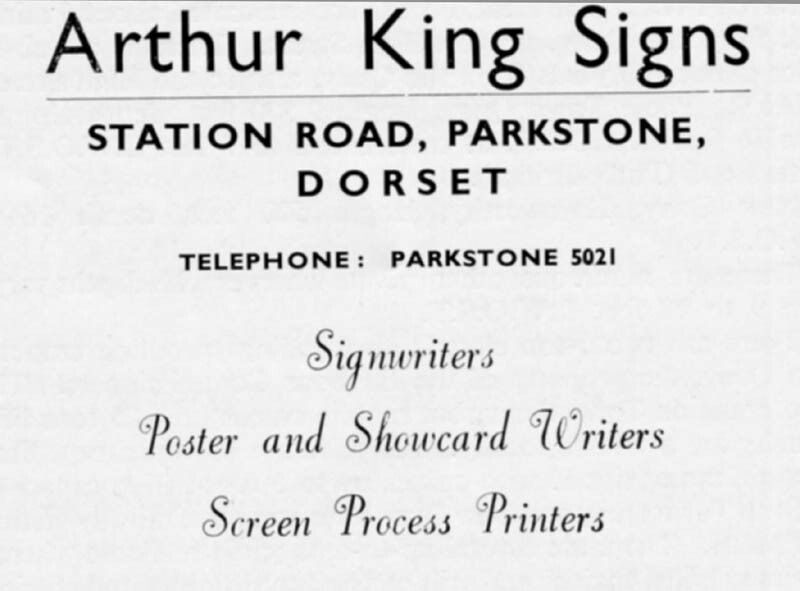 Advert for Arthur King Signs Station Rd Parkstone. Arthur King Signs, sign writers Station Road Parkstone. Poole Harbour Commissioners Handbook 1956.